BOSTON, MA--(eSolarEnergyNews)--Iron Mountain, the global leader in storage and information management services, today announced that its Data Center business is 100 percent powered by renewable energy sourced from a new wind farm in Ringer Hill, Penn. Through a 15-year wind power purchasing agreement, Iron Mountain will utilize 25 megawatts (25 MW) of the wind farm’s capacity, serving its data centers in three states. The shift to wind power helps reduce the company’s environmental impact and operating cost, while also delivering long-term utility price stability and a carbon-neutral solution for its data center customers. 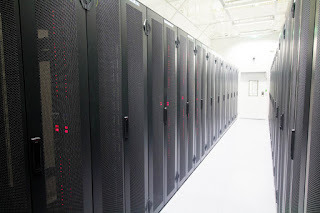 Iron Mountain Data Centers offer wholesale and retail colocation options that can meet the exacting requirements of cloud services providers, Federal Government Agencies, systems integrators, financial services firms and healthcare companies. Iron Mountain complies with Federal technology and environmental regulations, such as the Data Center Optimization Initiative (DCOI) and Executive Order (EO) 13693, enabling Federal Agencies and integrators to meet requirements for energy-efficient, sustainable data centers. Iron Mountain’s portfolio includes the 200-acre underground campus outside Pittsburgh that houses its National Data Center and leverages geothermal cooling for optimal Power Usage Effectiveness (PUE). The company’s data center certifications include FISMA High, ISO 27001, PCI DSS Level 1, HIPAA, and SOC 2 Type II compliance. Iron Mountain has implemented an aggressive renewable energy strategy relying on solar and wind power that is projected to offset two-thirds of its North American electricity needs by 2018. In addition to the Ringer Hill wind farm, the company recently signed a purchase agreement at the Amazon Wind Farm Texas and has ongoing investments in solar projects throughout the US and Canada. In addition, the company has joined with the World Wildlife Fund and other leading non-profit organizations and industry peers as a signatory to the Renewable Energy Buyers Principals. Iron Mountain is also a member of the Rocky Mountain Institute’s Business Renewable Center and the Renewable Energy Buyers Alliance (REBA). Combined, Iron Mountain’s commitments to wind and solar power, make the company one of the top 25 buyers of renewable energy among the FORTUNE 1000 and a top 70 energy buyer in the Environmental Protection Agency Green Power Partnership, a voluntary program that encourages the organizational procurement of sustainable power. For more information on Iron Mountain’s renewable energy strategy, please visit the company’s corporate responsibility portal at http://www.ironmountain.com/About-Us/Corporate-Social-Responsibility.aspx.